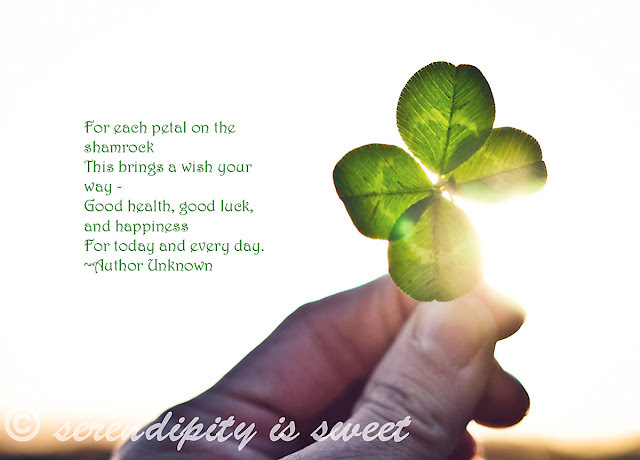 Serendipity is Sweet: Happy Saint Patrick's Day! Though I am not Irish by blood, I like to think I was in a former life ;) Cheers! What a wonderful thought. Thank you for sharing. Beautiful sun flare and quote. I love the backlight on your clover. It brought you luck! LOVE it, Melissa...and I hope you enjoyed the day!